The success in recent years of the Israeli cinema, notably Academy Award nominations for "Beaufort", "Waltz with Bashir", "Ajami" and "Paradise Now" (a Palestinian movie produced and filmed in Israel,) together with the Grand Prix Award at the Venice Film Festival for "Lebanon," a Golden Globe for "Bashir" – and more – has reopened the debate among Israeli writers and film-makers, concerning what we should be writing about. All the films listed above deal with war, or with Israeli-Arab relations. Add to them a string of novels that have had success overseas, such As Ron Leshem "Beaufort," David Grossman's "Until the End of the Land," and my own "CrocAttack!" And we have what can be seen as a trend of works relating to the Middle East conflict that do well outside Israel. After the celebrations died down, there has been a sort of backlash. The question the critics are asking: is this all we can write about? Is the Israeli-Palestinian conflict our only claim to fame? Aren't we in danger of becoming a one-trick-pony? Can't we write other stories? Aren't we in fact educating the world to expect this one-dimensional voice? Then, when it was noticed that some of these films and books did not do as well in their homeland as they did outside of it, a whiff of opportunism tickled the nostrils: is it possible that young Israeli artists are choosing this subject consciously in order to achieve international success? One very respected and successful writer said in an interview recently that he suspects some writers are choosing to write about the conflict as a way of breaking through abroad. Moreover, say the critics, it is too obvious and too painful: digging into pain and blood, shooting and then crying. Of course, if the writer writes to please his potential publishers and readers, or to fulfill what he thinks is expected of him, that is wrong. But I feel the critics of Israeli conflict-writing miss a very important point: it is interesting. It is fascinating. 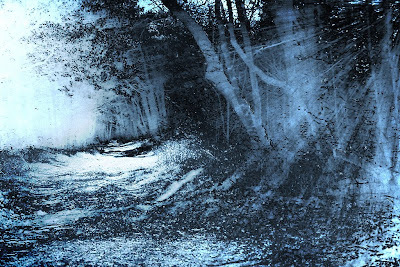 Our fucked-up reality is heaven for story-tellers. Sure, families and adoptions and relationships and friendships, and all the things that make up life, can - and should be - the stuff of novels, but how can you be satisfied with those subjects when you have such a treasure trove of material on your doorstep? A good writer can write about drying paint, shoe laces, or anything he wants, and make you drink in every word, but he must be interested in his subject, and even passionate about it. For some writers in Israel, the conflict is too close, too immediate, too frightening, too hard - and too real - to use for fiction, but for others, there is no more fascinating subject-matter than the conflict, with all its complexities, absurdities, passion, and emotions. By grouping all these works as "conflict stories," the critics are doing a great injustice to the impressive and original aspects that these works reveal, for example the breathtaking visual and sound design of "Bashir", or the clean, disturbing minimalism of "Beaufort". It took me some time to get around to realizing this. My first three works of fiction took place outside Israel. The characters were Israelis, but they traveled to distant places. But then came the surreal period of daily suicide bombings and I felt I simply couldn't evade writing about it. I couldn't turn my back on it anymore. So I started writing what became "CrocAttack," a tale of two young men, an Israeli and a Palestinian, caught-up between 21st-century hitech and biblical hatred, between the modern and the ancient, between the slowness of life and its unbelievable speed. I had to write – if not for any other reason – for myself, as a postcard to my future, which will remind me how we lived at the beginning of this century. A few years later I read an interview with Jay MacInerney, in which he said he felt the same way about 9/11. Norman Mailer had advised him, he said, to wait ten years before writing about such an event, to let the dust settle, to get the right perspective. But he couldn't wait. And nor could I. And I feel the same way about the novel I'm working on now, which is set in an illegal Jewish settlement on the Palestinian West Bank. Yes, at times it's stressful, it's heavy, it's sad. Maybe after I finish my current book I will need a break – possibly a romantic comedy in which violence doesn't exist. But for now, this is what I need to write. If I sound apologetic, I don't mean to. I think I am lucky to be in a position to write about the lives of people as history is forming and burning around them: some wounds are made for scratching. And some of those scratches turn out the most powerful sensation. Born in 1968, Assaf Gavron is the author of four novels, a collection of short stories, and a nonfiction collection of Jerusalem falafel-joint reviews. His fiction has been translated into German, Russian, Italian, French, English, and more, and has won prizes, been adapted for the stage, and optioned for movie development. He is also a translator of fiction. Among his highly regarded English-to-Hebrew translations are J. D. Salinger's Nine Stories, Philip Roth's Portnoy's Complaint, and Jonathan Safran Foer's novels. Gavron is also the co-translator of his own book Almost Dead from Hebrew to English. 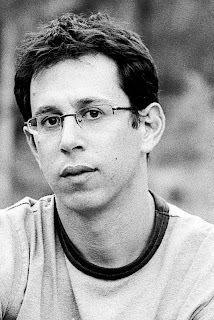 Assaf Gavron was the chief writer of the prize-winning computer game Peacemaker, and he has also contributed to numerous newspapers and magazines, writing on subjects ranging from sports to politics, and from music to food. 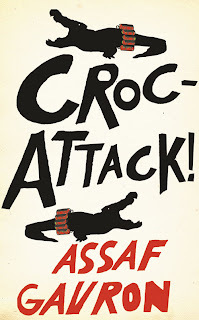 CrocAttack! by Assaf Gavron is out now, published by Fourth Estate. To visit Assaf's site click here.